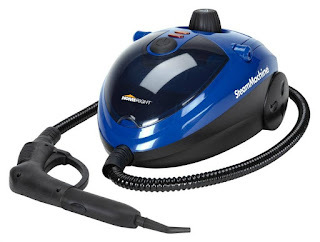 Use the steam mop to disinfect your hard floor surfaces; such as tile, vinyl and linoleum. The high pressurized steam blasts the surface and the cleaning pad wipes the surface clean. You can use the HomeRight SteamMachine Plus to clean nearly every surface of the home, both inside and out! When you are finished, the smaller supplies story easily inside the machine. 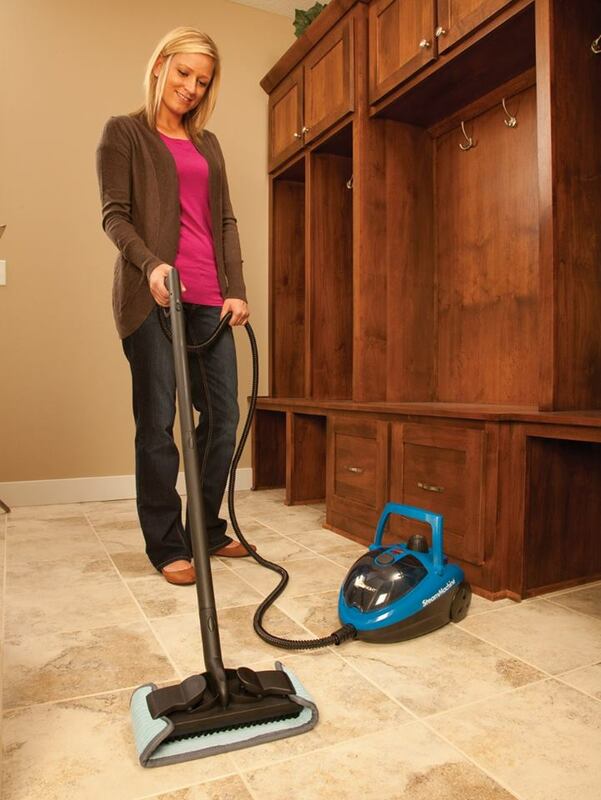 The unit is small and portable, plus it is on wheels which makes it easy to take and use anywhere. Are you ready for a deep down chemical-free, sparkling, fresh clean? Then, get your entries in for a chance to win one! If you just can't wait to see if you have won, you can visit HomeRight to order the amazing HomeRight SteamMachine Model 53! 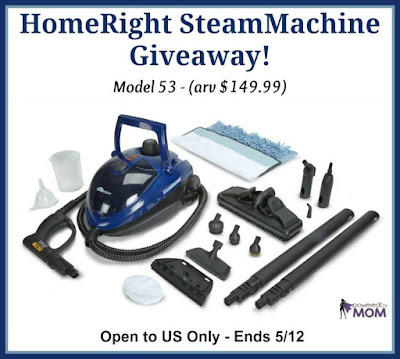 HomeRight SteamMachine - Model 53 ($149.99 arv)! 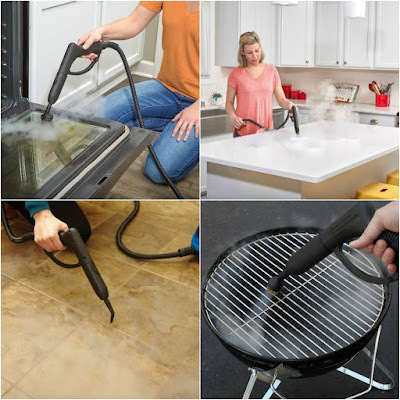 I never thought of using it on my grill! DUH!!! Thanks..